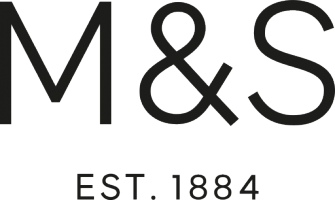 How has Marks and Spencer supported you in your career progression? I am working in retail as well... just wondering how M&S is different from other retailer..
Hi there, thanks for your questions. I naturally gravitated towards a cafe role because I'd worked in independently run restaurants and bars before. I loved the buzz and pace, but I didn't enjoy the late nights and working solidly every weekend. It left me with very little time for friends and family! M&S have always been a reputable name in my household, and knew I'd be well looked after with them. I originally joined with the intention of trying retail (lingerie or beauty, in particular) but couldn't resist! I'm a foodie at heart. I found the team in the cafe to be incredibly close-knit and sociable. I'd imagine you'll find that amongst most departments within M&S, but they were especially encouraging. There was always somebody at hand to check how I was making my coffees, helping me find something on the till, showing me how to prep the food. It's such a high intensity environment, that you become very reliant on your colleagues to pull together as a team. Without working in another retailer, I'm afraid I can't compare my experiences with others. What I can say is that I've made friends for life, there's always opportunities for self development and the pay is very competitive for similar retailers. The recruitment process is pretty straight forward. After successfully completing your online application, you'll be invited to an interview in store. You should then have a one-on-one interview and role play to establish whether you're suitable for the position. Fingers crossed, you'll then be offered a vacancy! I hope that's answered a few of your queries and has encouraged you to consider joining us. You're very welcome Tayyaba, please don't hesitate to get in touch if you need anything else. 16 readers find this useful! Hi, I'm doing a business case study on M&S, what is your recruitment and selection process before interview stage? I've been invited to the 'next stage' of the recruitment process, but there is no 'next stage' option. Suggestions? Where can I find details of the M&S internal recruitment process - I want to apply for position in a neighbouring store? What was the recruitment process like for the Engineering Apprenticeship?